Top set Year 7s participated in an Energy Quest activity today; they discussed career opportunities in Engineering, the advantages and disadvantages of renewable and non-renewable energy resources and investigated the effects of potential difference on the distance a motorised car will travel! 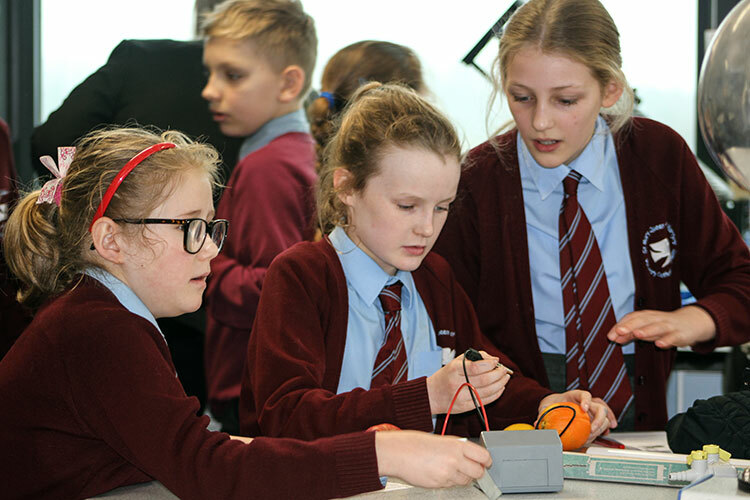 As part of an ongoing link between St Mary Queen of Martyrs Voluntary Catholic Academy, 60 Year 5 and Year 6 pupils came to experience a science lesson in a science lab. 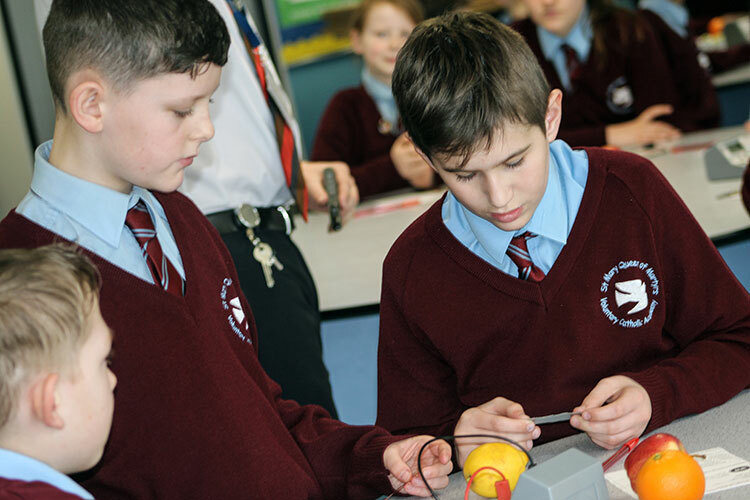 The pupils investigated the different combinations of fruit and metals to generate the most voltage in a “Fruit Battery”. We achieved a whopping 9.6 Volts with 12 teams providing the cells. The primary pupils behaved excellently and the Year 11 prefects represented the school incredibly well. 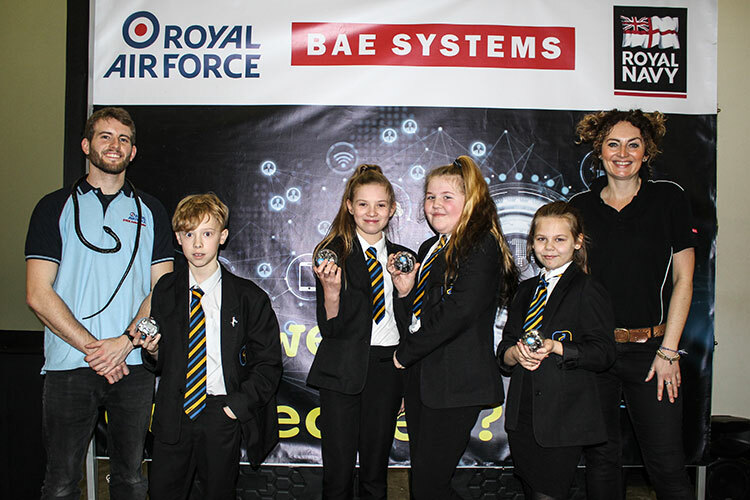 Year 7 & Year 8 participated in one of the RAF roadshows yesterday; focusing on maths and science applications in the Royal Air Force. Many thanks to the Roadshow Team who delivered an energetic fun session to our pupils. Science pupils were involved in a STEM event run by the Smallpiece trust today. The focus of the event was on Engineering and how it impacts our daily lives. 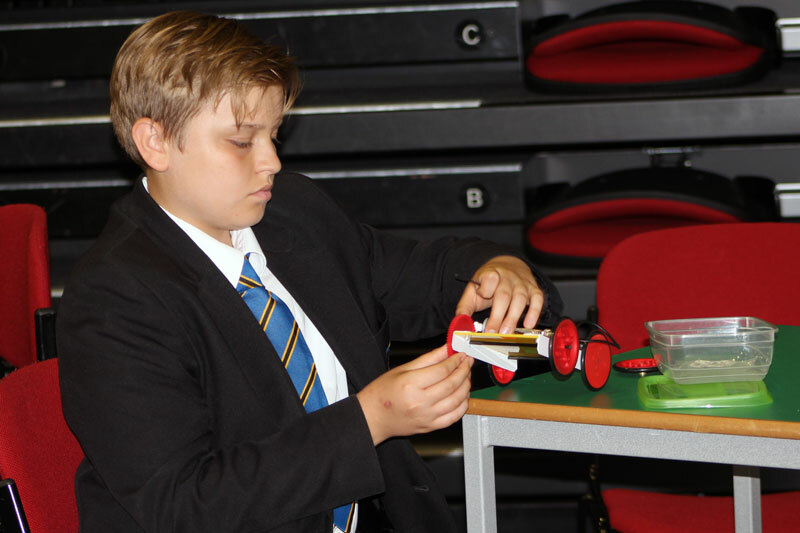 The pupils were informed about all of the different types of engineering and all of the different applications of it in the world around us. Make a prototype wind turbine: Each team would then test their designs and see how much energy they could generate when a wind source was used. They were then allowed to amend their designs accordingly. Build a solar powered car: Each team would construct their solar powered cars, charge them to the right voltage and release them to try and get them into the target zone. The pupils had great fun and were really well behaved. They said that they learned a lot about engineering too.